Are we going to see Inflation or Deflation? Here is an extraordinary graph from the St Louis Fed. 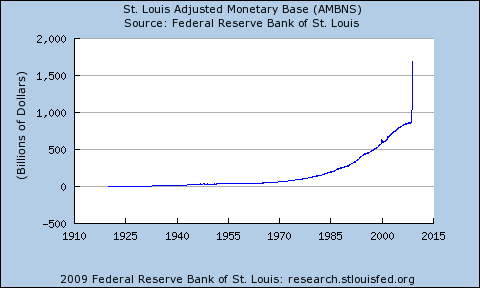 It shows the monetary base more or less increasing exponentially from 1918 to 2008, then taking off vertically. How can this not be inflationary?